A chip in the windscreen can be a pain in the bum! 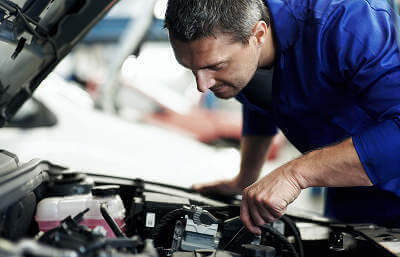 You know that you need to get it fixed before it cracks and gets worse, but when do you have the time to check into a garage, get a quote and book in for the job to be done? Rarely, is the answer. We all lead busy lives, squeezing in leisure time around work and family obligations, and our car often plays a crucial role in our daily activities. So, when what seems like a small chip appears on our car windscreen, we can be tempted to leave it alone. Before you know it, that chip becomes a crack, which spreads until repair is no longer an option and you are looking at the expense of replacing the entire windscreen. This could cost you a fair few pennies, as windscreens are often not fully covered by car insurance. Not to mention the fact that if the chip is in your line of vision, you’ll be breaking the law, risking a fine and points on your licence, too. On top of all this, windscreen damage is one of the top reasons for cars to fail their MOT. So there are lots of reasons to encourage you not to get distracted and attend to windscreen chips as soon as you spot them. Luckily for you, MyCarNeedsA.com, has this week partnered up with AutoGlass parent company Belron Group, the world’s leading vehicle glass repair and replacement company. This new relationship with AutoGlass and sister company, AutoRestore strengthens our position as a one-stop-shop for all your vehicle needs, providing no-obligation quotes from reputable providers reviewed by car owners, just like yourselves. With 1,100 mobile technicians operating UK-wide, AutoGlass can attend to your car wherever and whenever is convenient to you. At home, at work, even at your UK holiday destination, AutoGlass operates a 24-hour service, 365 days of the year. They can deal with any type of glass on any make, model or age of vehicle and they’ll always repair before they replace, keeping costs down for you and your insurance company. As added security, all work is guaranteed for as long as you own the car. If it’s your car’s bodywork that needs attention, AutoRestore can help. Once again, they’ll visit you where you need them, attending to dents, scrapes and any damage that hasn't affected the vehicle chassis or mechanical parts. They’ll bring a mobile bodyshop with them and, in most cases, have the work completed the same day. Simply attach a photo of the damage when you request a quote and AutoRestore will let you know what’s involved, as well as provide you with a competitive price. Along with our existing suppliers, AutoGlass and AutoRestore provide an excellent, ever-growing range of automotive service providers. After requesting a quote for anything from a replacement bulb to a full service, customers can pick and choose between the suggested options based on price, convenience and peer recommendation. So, whether it’s a chipped windscreen or another car niggle that you’ve been ignoring, get a quote now and save yourself a bucket load of time, hassle and cash.